Ocean Oasis is a fascinating journey into the bountiful seas and pristine deserts of two remarkably different, but inextricably linked worlds - Mexico's Sea of Cortés and the Baja California desert. What powerful geologic forces collided to carve out this unique region? What drives the strong currents that make this ocean so unusually rich in nutrients? How does life thrive in a seemingly barren landscape? Ocean Oasis mesmerizes us with revealing and memorable scenes that explore these mysteries. Glide side-by-side with a graceful giant manta ray as it arches and swoops through water, sparkling under the hot Baja California sun. Witness the pageant of migrating whales, the elaborate tango of courting terns, the battles of lumbering elephant seals. Fly over sweeping vistas of snow-capped mountains, vast deserts, palm oases, and mangrove swamps - then plunge into astonishing underwater sequences of rarely seen marine life. 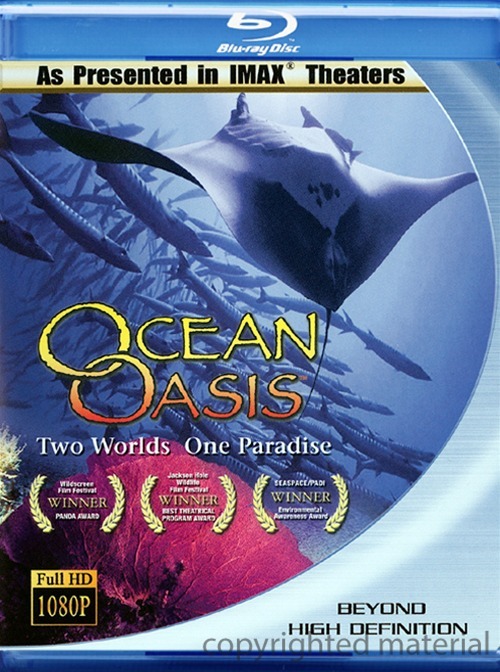 Ocean Oasis is both visually stunning and provocative, compelling in it message that this little-known region is a treasure worth preserving.